Nothing says ‘ta-da’ at a dinner party like a showstopping dessert, but creating a fabulous finale to the Christmas meal can often be very most time-consuming. But what if you have a tree to decorate, presents to buy, work to do – or all of the above – and only have five minutes allotted to wowing guests with your dessert-making prowess? No problem! 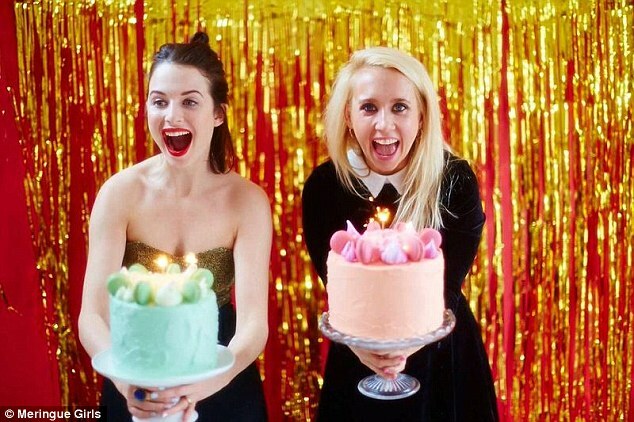 Dessert duo, Alex Hoffler and Stacey O’Gorman, known as the Meringue Girls, have come up with five recipes that will take no longer to make than heating up a Mr Kipling’s apple pie. The recipes, created by the Londoners who have two cook books under their belts, take under under five minutes to rustle-up – but will linger on the taste buds all evening long. Stacey, originally from New Zealand, believes a good dessert is the vital ingredient to any dinner party. 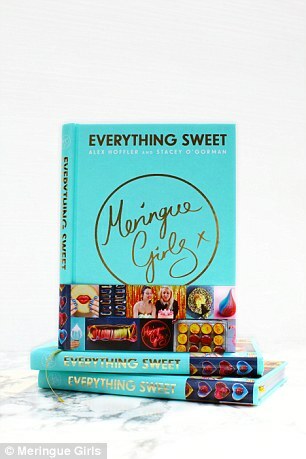 Here The Meringue Girls share the secrets to sweet success – in five minutes flat. Straw Brulée: ‘This is a really simple idea, but one that is super delicious and perfect for a party,’ they say. Ingredients: 3 large egg whites; 175g caster sugar; pinch of salt. Method: In an electric mixer or magimix, add the egg white and the salt. Whisk on a low speed for a minute and then on a higher speed, whisk until the egg whites form stiff peaks. You should be able to lift some of the mix out without it falling off the whisk. Add the sugar in small amounts until the mixture turns glossy and thick, with the peaks even stiffer. Be patient with it and it will come together! 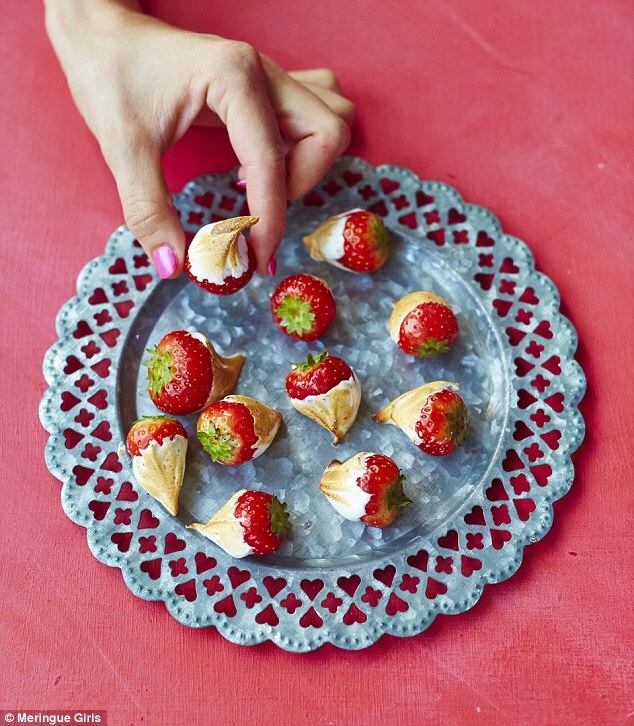 If you’re preparing these in advance, take your strawberries and hold them by the stalks. Dip them generously into the meringue mixture and use a blowtorch or an open flame to lightly toast it like you’d toast a marshmallow. This is a really simple idea, but one that is super delicious and perfect for a party. Either serve ready bruleeed on trays, or let your guests dip and toast at the end of a meal for a real Come Dine With Me experience. The meringue is best made fresh. Method: Preheat the oven to 170°C/gas 5. Lightly grease your mini-muffin tin with butter. If you have a stand mixer, pop your butter and both sugars into it and beat until light and fluffy. Alternatively you can use an electric hand whisk or just good old-fashioned elbow grease. Add the egg and vanilla and continue to beat until creamy. Sift together the flour, salt and bicarbonate of soda, then add to the butter and sugar and fold by hand until just combined. Add half the chocolate chips and give the mixture a good stir to distribute them. Now melt the rest of your chocolate chips in a heatproof bowl in the microwave on a very low setting, stirring every 30 seconds. Alternatively, place the chocolate in a glass bowl over a pan of boiling water, making sure the water does not touch the bottom of the bowl. Keep stirring, and the steam will melt the chocolate. Make little balls of dough in your hands, and press them down into the muffin holes with your fingers so the mixture comes up the sides a little. Make a little indent with your thumb to hold the melted chocolate. Leave some dough for the toadstool tops. Using a teaspoon, dollop a little bit of melted chocolate into each indent. Then take little pieces of the reserved cookie dough and place them on top of each one, to create a plug – it doesn’t matter if the dough doesn’t cover all the melted chocolate, but try to cover as much as possible. Bake for 15–20 minutes, until the edges are hardened and a little brown and crackled. Take them out when they are still squidgy, as they will harden more while they cool. 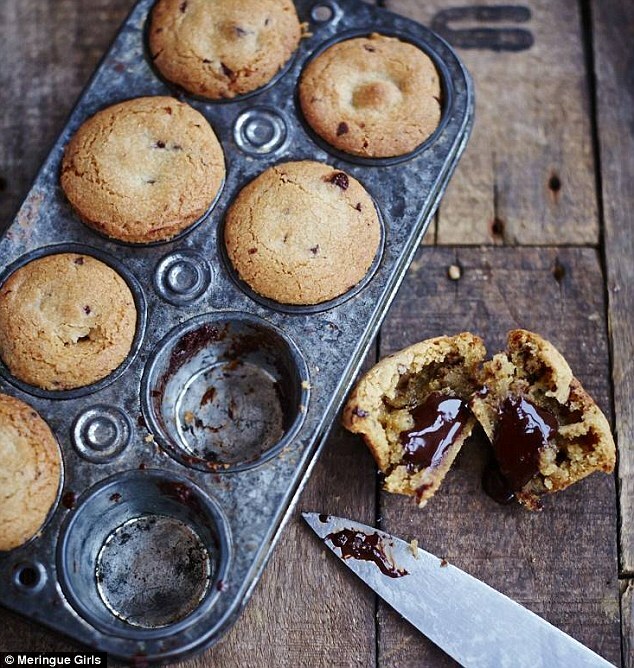 Leave to cool slightly in the tin, then use a knife to loosen the edges of each cookiemuff. They are best eaten warm. To eat later on – ping in the microwave for 20 seconds to re-melt the gooey chocolate middle. Is it a cookie? Is it a muffin? No – it’s a cookiemuff! An ooey-gooey melted chocolate centre with a chocolate chip cookie surround. These little cross-breeds are the most indulgent, fudgy toadstools you will ever eat. Method: Start by lining your silicone baking dish with with non stick baking parchment. Grease with butter. Scatter with the chopped hazelnuts. (You can use a metal tin, but using silicone ensures the honeycomb stops cooking as soon as you pour it in). Mix the caster sugar and syrup in a deep saucepan and stir over a gentle heat until the sugar has melted. Don’t let the mixture bubble until the sugar has disappeared. Once completely melted, turn up the heat and simmer until the caramel resembles the colour of a copper penny. Turn off the heat as quickly as you can, then tip in the bicarbonate of soda and beat with a wooden spoon until it has disappeared and the mixture is foaming. Scrape into the prepared lined silicon mould, be careful as the mixture will be extremely hot. Leave the mixture to harden for about 1 hr 30 mins. 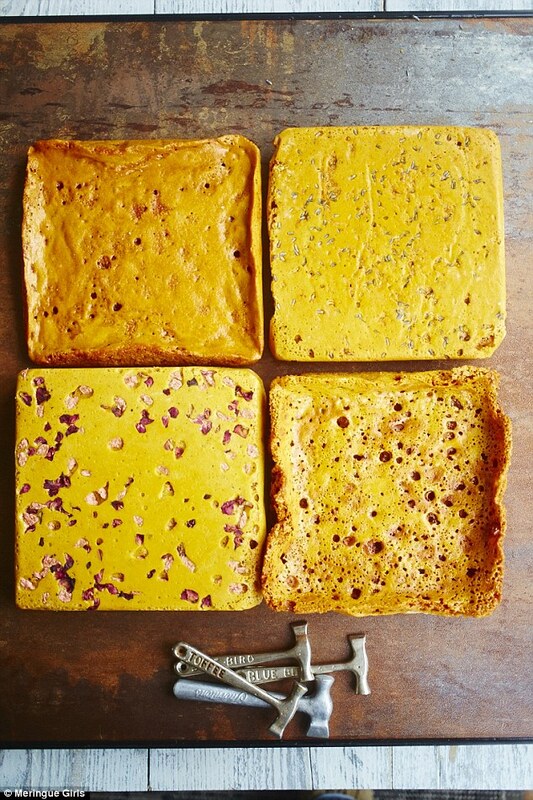 Smash or snap the hardened honeycomb into pieces before enjoying. This recipe is a miracle of science. Add a little baking soda to a sticky dark caramel and you have yourself an incredibly crunchy, light and airy candy masterpiece. We have taken ours a step further by adding some winning flavour combinations. Method: Place the dates, almonds and cashews in a food processor and blend to a paste. You might need to add a few splashes of water to help this along. Don’t worry if the mixture isn’t completely smooth, as it’s nice to have a bit of crunch. Add the cocoa powder, coconut and salt, and blend again. Mix until everything is well incorporated and the mixture is nice and sticky. Line a tray with baking paper. Take about 1 tablespoon of mixture at a time and roll into a truffle-size ball between your palms. Damp hands will help you to roll them smoothly. Place the balls on the lined tray and refrigerate for about 20 minutes, to harden slightly. Meanwhile, melt the chocolate in a glass bowl over a pan of simmering water, making sure that the bowl does not touch the water. Once the chocolate is completely melted, set aside to cool slightly. One by one, dip the balls in the melted chocolate, and use a spoon to transfer them back to the tray. Sprinkle with any chosen toppings, and refrigerate until the chocolate hardens. 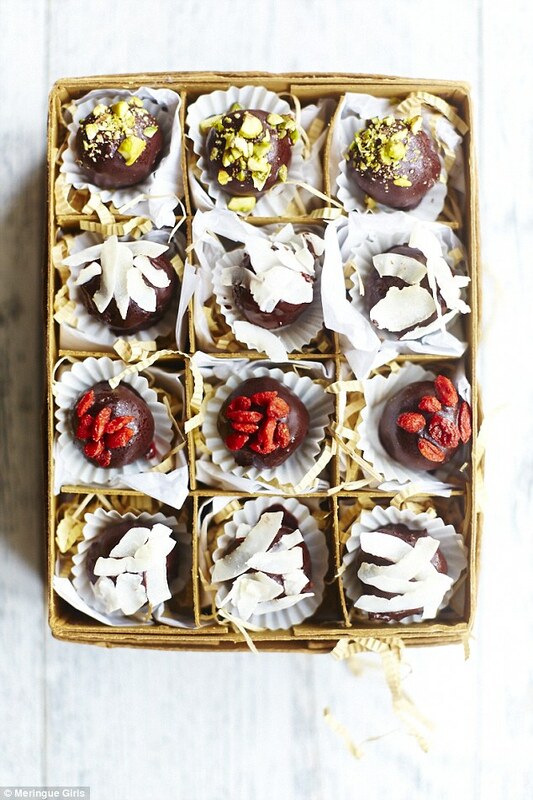 We are addicted to these little balls of bliss, which taste like a decadent brownie bites but are actually packed with nutritious and delicious things. The blitzed-up dates, nuts, coconut and cocoa form a gooey mouthful of goodness that tricks the mind into thinking it’s a full-on sin. Dipping them in a little melted dark chocolate and setting them in the fridge creates a bittersweet shell that reveals the super squidgy centre within. Sprinkle with some Maldon sea salt for a salty sweet sensation. You can use any combination of nuts you have in your cupboard: hazelnuts, almonds, pistachios, walnuts, cashews and Brazil nuts all work amazingly well. You can even add a few goji berries for an extra healthy kick. These make a fab after-dinner treat, or even an 11 a.m. pick-me-up (the way we have them at the bakery). They keep in the fridge for a week (if you are lucky). Method: Peel your bananas and chop into 1cm thick rounds. Place them in a ziplock bag and freeze for at least four hours. It’s best to do this the night before, and they can stay in your freezer for months! 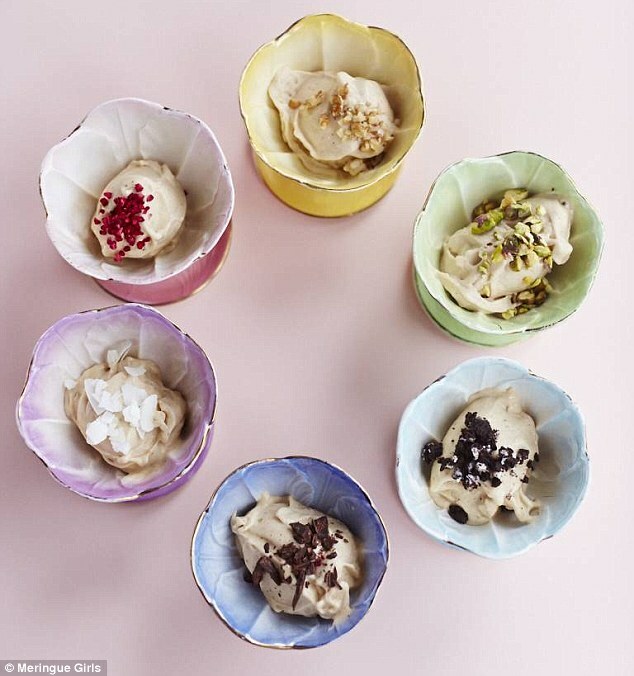 Put your frozen bananas and peanutbutter into a strong food processor or magimix. Blend to a smooth ice cream consistency. It takes about 4 minutes to get from bitty to smooth and creamy. Serve immediately and sprinkle with delicious toppings of your choice! This is literally the easiest recipe ever! Who would have thought that just frozen bananas and peanutbutter whizzed up in a blender could produce such a rich, creamy and smooth ice cream? It’s total magic.